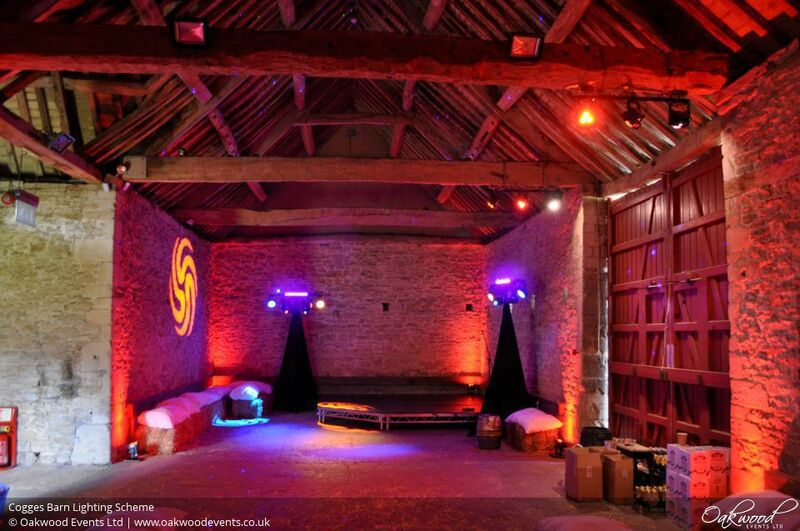 We recently had another opportunity to visit the wonderful, rustic barns at Cogges Manor Farm in Witney to install a full wedding lighting scheme including tiered crystal chandeliers, feature lighting, uplighters and disco lighting. The larger of the two barns, the Wheat Barn, was used as the dining area where we installed a set of four crystal chandeliers hanging from the beams. 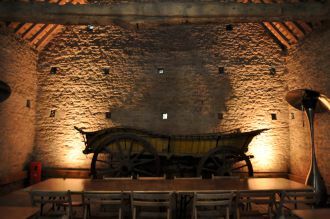 At the end of the barn is a gorgeous wooden cart which we highlighted with some soft, golden flood lights. 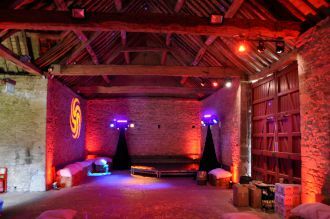 The Barley Barn is the smaller of the two, which in this case was used as the bar and party zone for the evening. We added full room uplighting, beam-mounted coloured lights, and dynamic disco lights. These were all controlled by an easy to use touch-screen controller so that all colours and effects could be changed to suit the mood, ranging from a simple warm white colour wash to full-on moving effects, lasers and UV. If you're considering holding a wedding at Cogges, why not get in touch? It's a fantastic venue with so many possibilities for lighting and decoration - we'd love to discuss ideas! Thank you so much for all your help along the way and for being so lovely!